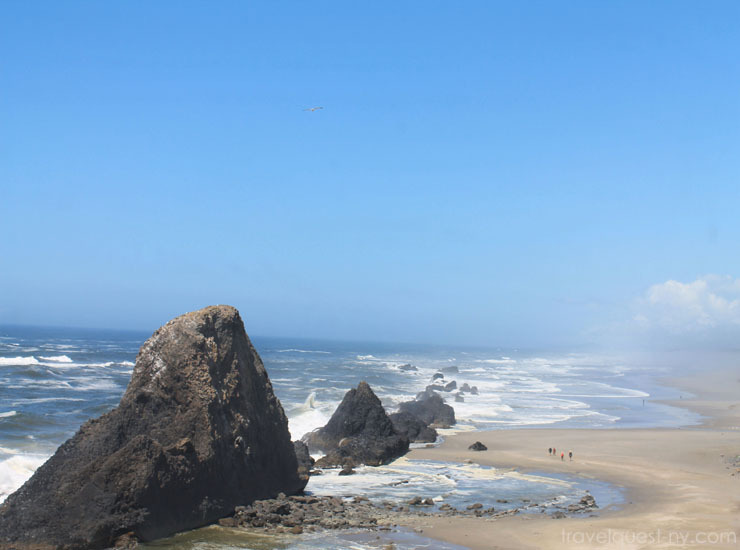 The Central Oregon coast along Highway 101, is a great place for fishing, hiking, flying a kite and other outdoor activities. After our visit to the Sea Lion Caves . We went on a short hike to a nice beach near Florence. It's easy and short and feels enchanted with the lush greenness of the vegetation . It leads to a very quiet and beautiful beach with amazing views. A good place to spend some time. We spent the whole day enjoying the miles stretch of coast, and could have spent more there, and cannot wait to go back. Words cannot describe the beauty of this place. The Ocean is breathtaking, the coast is awe inspiring. Happiness is ... watching the waves! Great trails to walk on. It will feed your soul and lift your spirit! 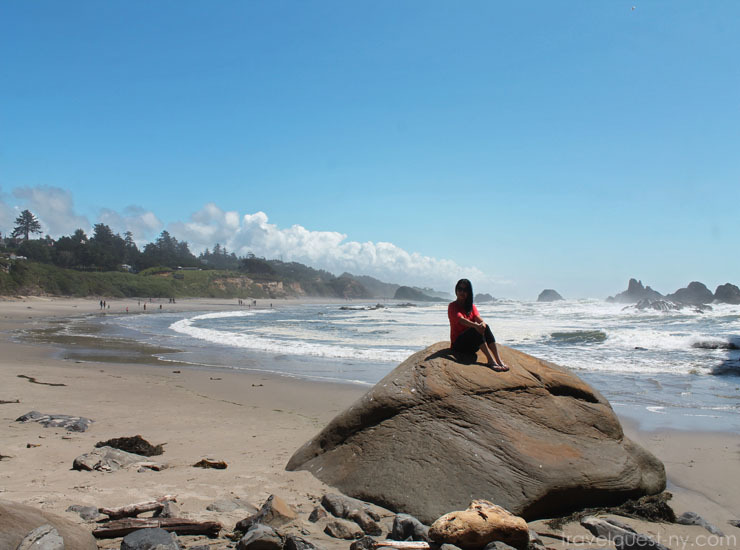 There's a saying " If you brought a swimsuit to the Oregon Coast , don't worry someone will loan you a sweater." - Funny but TRUE. That is absolutely gorgeous! 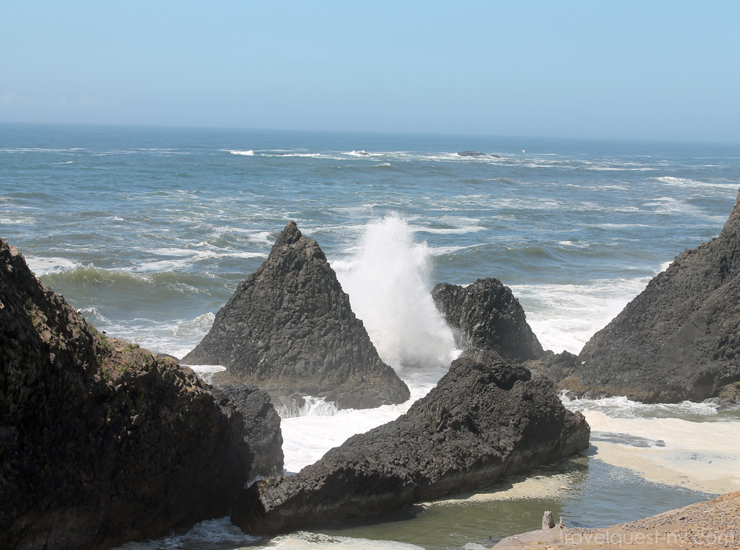 I'd love to take a driving trip of the Oregon coast. I love those rock formations. Oh my gosh does everything look beautiful! I have never traveled that part of the road but I really need to. I've been to Oregon just not that area. It's obvious I'm missing out. That scenery certainly is breathtaking! I could spend a week or so just hanging out at that beach. I've never been to Oregon before. I need to plan a trip. Oh my goodness what a gorgeous coast line, those views are absolutely stunning! That coast is so pretty. You managed to really capture the feel of it in these beautiful photos. Now I want to go. I love the coast in the NW! So blessed to live close it, I love driving along 101 the scenery is beautiful! Looks like a great family trip. I have never been to Oregon. I;ve seen such beautiful photos. I would love to see it for myself one day. How beautiful is this coastline! 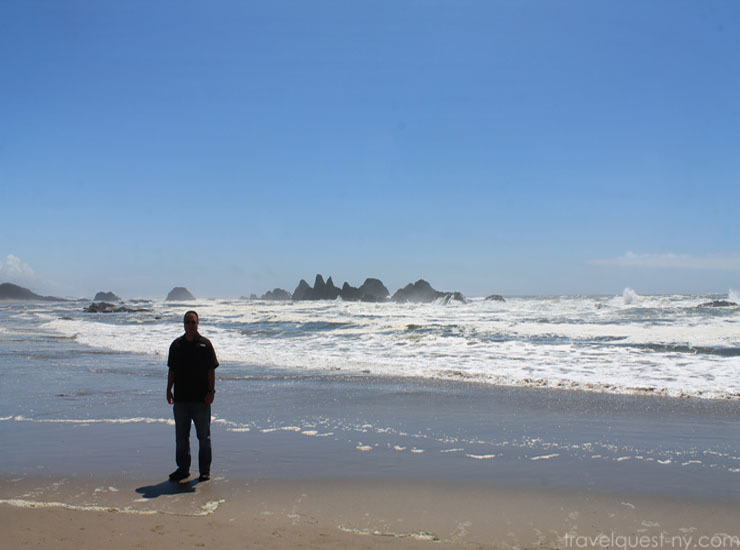 I have never been to the coast of Oregon but I love these pictures. WOW your pictures are stunning! 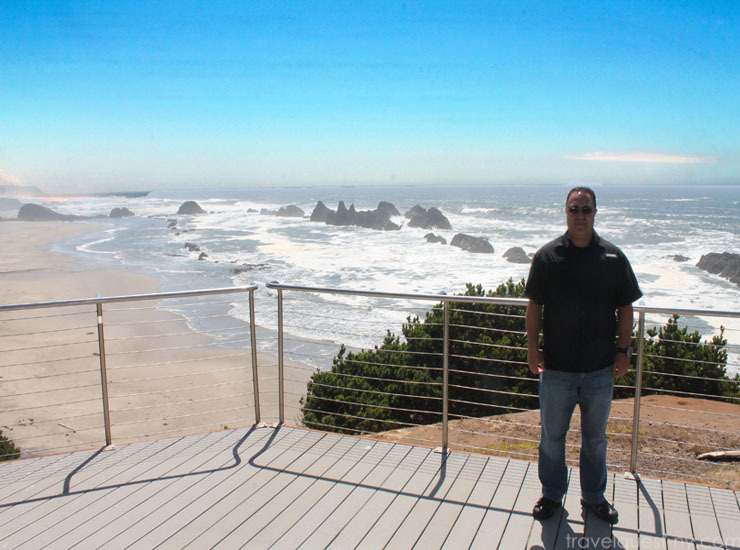 I think I will have to put the Oregon coast on my travel bucket list! I know exactly where that is. We were there on vacation and now I am pining to go back. Beautiful shots you captured. I have never been to Oregon Coast before but it looks like a place we would love to see. This beach looks gorgeous and would be a place I would love to see some day. Thanks for sharing your experience. That looks so pretty. I love beachy places like that. 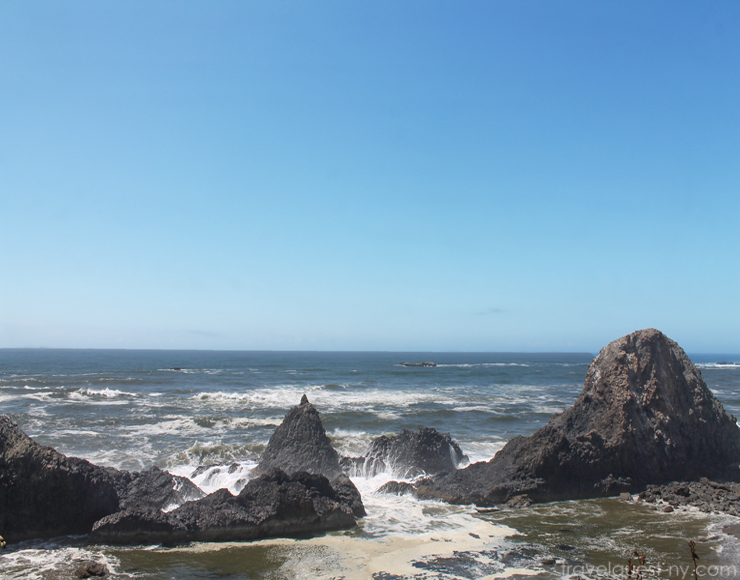 I would love to visit the Oregon coast someday. Whoa, whaspectacular view! 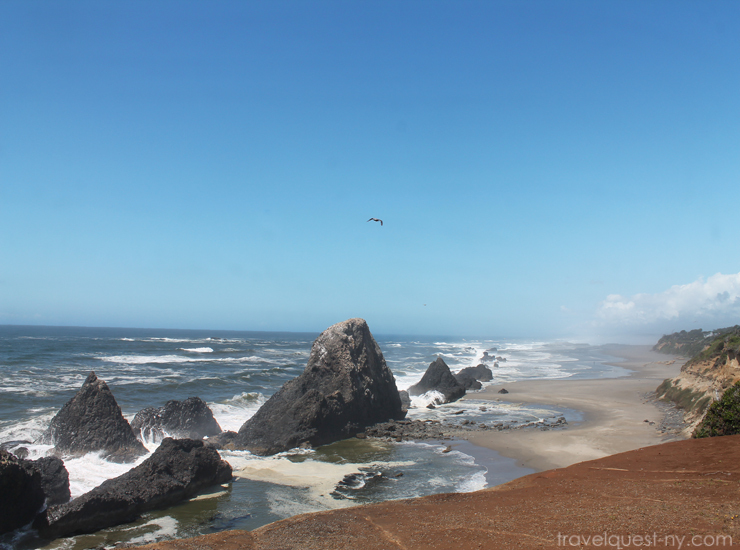 Traveling to Oregon is definitely on my travel bucket list, so much beauty to see! What a beautiful trip to Oregon. I had no idea that it was that beautiful there. Love your pictures. Wow, Oregon is gorgeous! These are such beautiful photos that make me want to be there now.